The malware, which Apple calls Fruitfly, can also run on Linux. The old coding, along with the Linux commands, suggest that the malware’s makers maybe didn’t “know the Mac very well and were relying on old documentation” to develop it, Reed wrote. Security researchers have said Mac malware is pretty rare. That’s because hackers generally focus on attacking Windows-based devices, which there are far more of. This particular Mac malware is easy to spot, according to Reed. 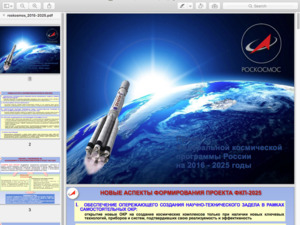 It comes in two files, one of which acts as a launch agent. Nevertheless, Malwarebytes found evidence suggesting that Fruitfly has been infecting Macs undetected for at least few years. For instance, a change made to the malicious coding was done to address OS X Yosemite, which was launched in Oct. 2014. He speculates the malware was designed for espionage, given that it was found targeting biomedical research institutions. Once the malware infects a Mac, it will also attempt to retrieve information on local network and other devices connected to it. Fortunately, Apple has already released an update that protects Macs from Fruitfly infections.